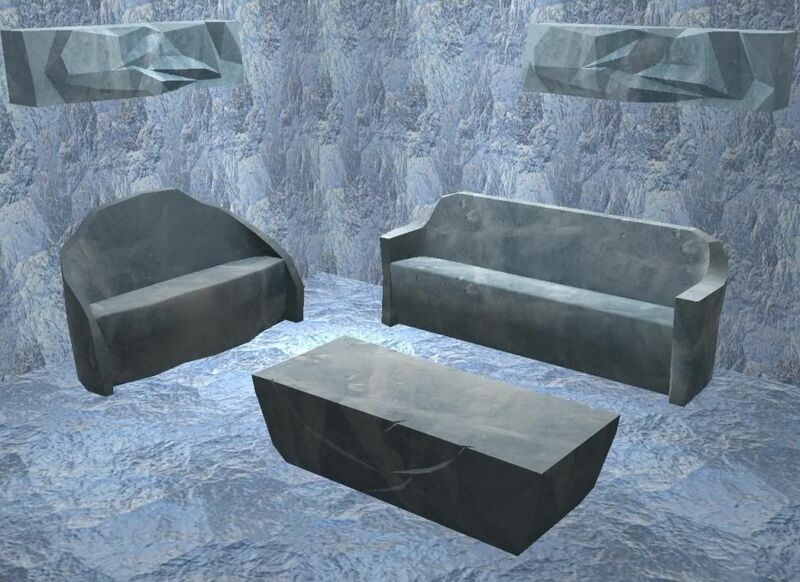 Here are some more things from The Sims 3 Store Seasons Ice set for The Sims 2. Included in the set are a sofa, a loveseat, a coffee table, and a wall light. The wall and floor can be found here. Enjoy!